In many change management programs within business you would have heard the phrase…”Are You on the Bus”? Let us explore this analogy a little further. Many of us when at school have experienced those bus excursions which were brilliant, and others that were a complete disaster. So what are some of the key elements that differentiated the two experiences? The Bus Driver was a great storyteller that engaged the passengers throughout the journey. Your fellow passengers created their own excitement and fun. The scenery from the bus windows were continually varied and made the view a delight to behold and appreciate. Passengers moved around the bus to experience different perspectives on the journey. The driver was an utter bore and provided zero inspiration. The passengers did not interact, were silent and uninterested. The view outside the bus was monotonous and made the passengers switch off because they were not engaged by the scenery. 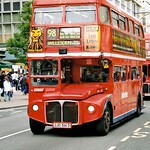 So what are the learnings with the bus analogy for management? The driver is critical! Managers need to have the ability to inspire and lead their employees along the change management journey so they are eager to participate in the activity. It is important to motivate the co-workers who are already on the bus so they inspire their fellow passengers so nobody wants to get off. Passenger comfort along the journey needs to be maintained. Here the manager needs to understand and appreciate how their employees are feeling emotionally and physically. If the temperature or mood is too hot or cold, it is the driver who is on control of the air conditioner and needs to make the required organizational climatic change. However, there might be some passengers who really don’t like the journey. If so, just let them off at the appropriate bus stop otherwise they may become a negative influence on the other passengers. The bus may hit a large pothole in the road and get a wheel puncture? If so, the bus should quickly stop and address the problem and take the required corrective action to ensure that a smooth ride continues along the route to the intended destination. There is no point limping along with a damaged bus as it will negatively affect the experience of all the passengers. So when next you as the driver (and manager) are about to start your next bus journey of change management, make sure you consider the above and then jump into the driver’s seat, start the engine and put your foot down on the accelerator and go!